Do You Need a Project to Develop SW? For people (a team) working together, to achieve a high level of performance, it takes certain time. That time is the project time when people are supposed to create value. As it can be seen from the first figure on the left, the high performance level is achieved towards the end of the project (green area). 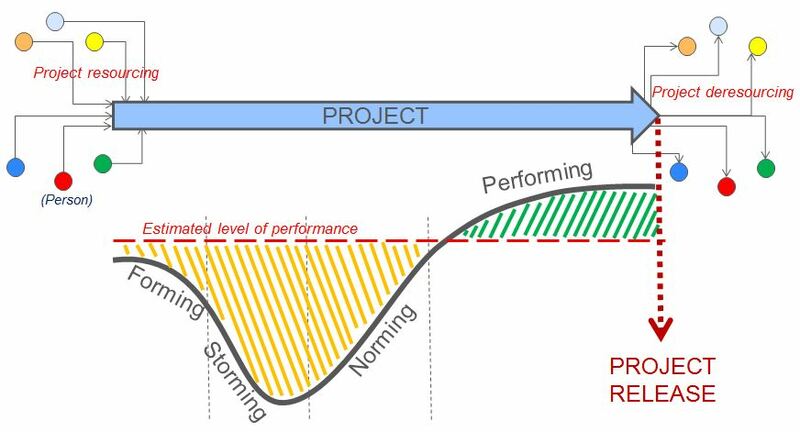 The orange area bellow the expected level of performance line (red dashed line) generates a certain technical debt (delay), that is eventually (hopefully) compensated in the performing phase late in the project. When the project is finished a “deresourcing” is done, i.e. people are dispersed over the next projects. They are submitted to pass the similar curve again together with the new project members. 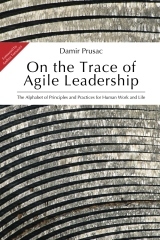 The core of operations is the long-living team(s) that works on the prioritized features. 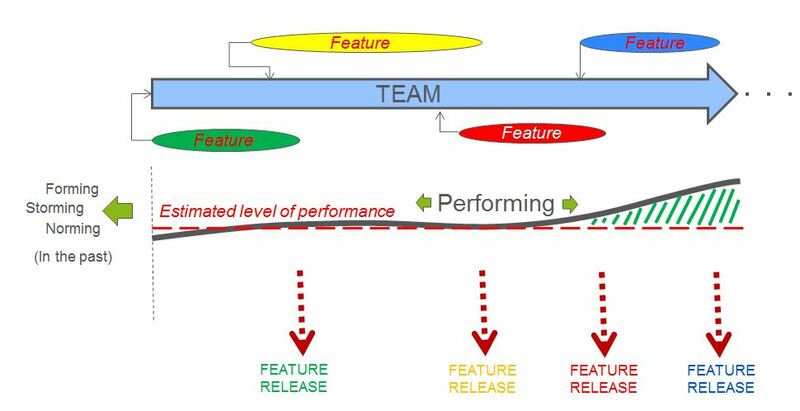 Having the phases of the team creation “in the past” as shown on the figure, the team starts working on every new feature from the performing level, ready to create value. There is no waste of time to ‘resource’ a feature. When ready, the team would pull the next feature from the prioritized feature backlog and start with it. In addition, the team is capable of releasing the product after each of the features being created. For a difference to the batch&queue project approach, smaller features and quick releases make our product sooner and more competitive on the market. Applying this, gradually we started less to use words like ‘late’, ‘delay’, ‘catch up’, ‘change requests’… Each of the teams has its velocity, estimates and with the support of the leadership, process, practices and tools try to add the highest value with as lees effort and time as possible and with the highest quality. You need a project to develop SW?